110 Grill is where contemporary dining and innovative cuisine meet. Here we are passionate about pure flavor, quality ingredients, and the cultivation of an inviting atmosphere that can play perfect host to an intimate dinner, a family celebration, or a cocktail with friends during the game. Our menu features modern American cuisine with an emphasis on flavor and diversity. We are strongly committed to allergy awareness, and most of our menu items can be easily modified to fit any allergy needs. In addition, we feature separate Gluten Free menus. 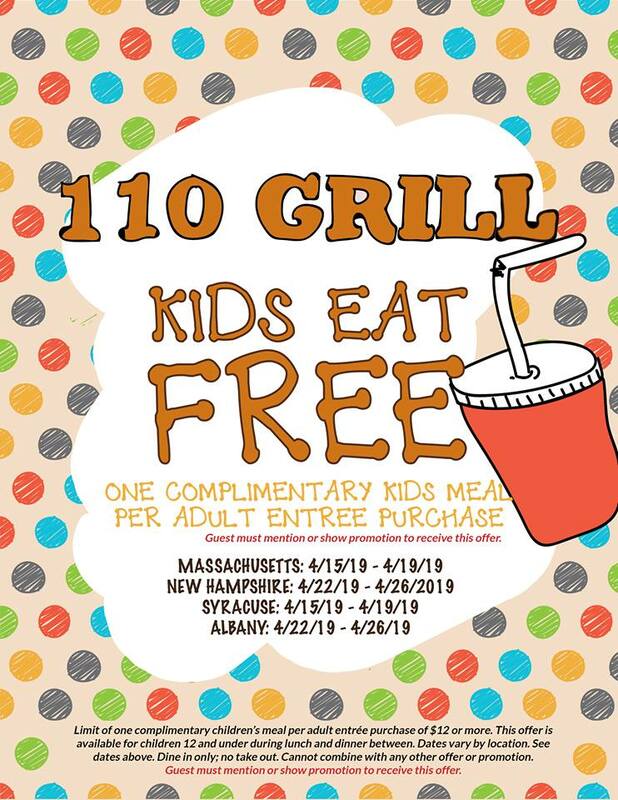 Mention or show this offer when dining at 110 Grill during Spring Break and Kids Eat FREE! 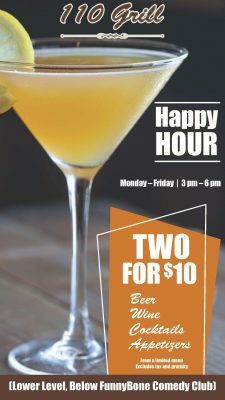 Make the weekdays better with Happy Hour at 110 Grill! More info.